Designed for busy executives who travel regularly, the Trtl Pillow is made with hypoallergenic lightweight fleece, which molds into a shape to help support your neck for optimal sleeping. It has been scientifically proven to keep your head in a better position for sleeping upright. 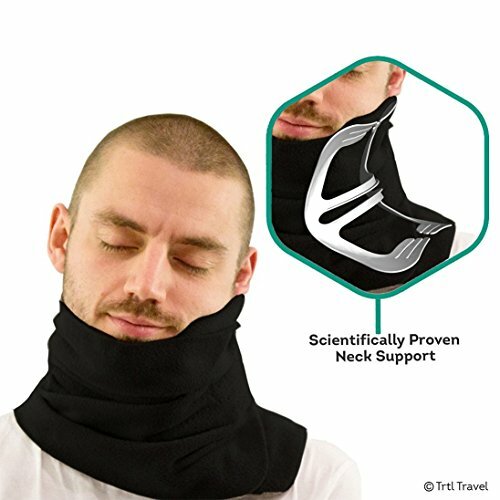 With strengthened ribs, super soft fleece and foam, the patented design fits any neck shape, jaw and shoulder to create a comforting hammock effect. Lightweight – only 148 grams, machine washable and easily attaches to luggage. 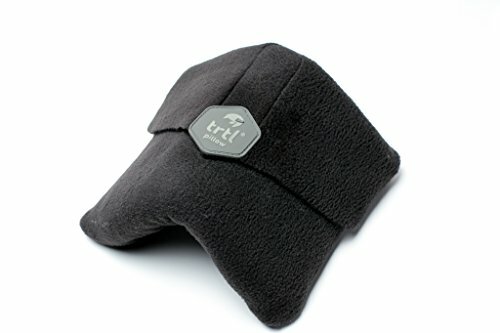 Holding the head in a better ergonomic position than the traditional u-shaped travel pillow, the Trtl helps to avoid pain and discomfort, helping you to slow down, rest, and sleep better while travelling. The Trtl pillow has been independently tested by the Institute of Motion Analysis and Research at the University of Dundee, testing this new concept using motion analysis, measuring the effects of the head and neck posture over time on healthy subjects. It was tested in an aircraft simulation and found to be more effective in supporting the head during sleep. Wake up refreshed on your next business trip!